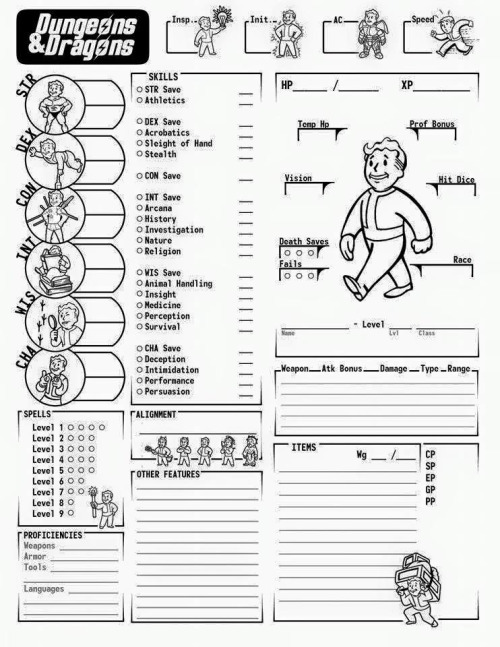 While this amounts only to a skin for your character sheet and won't fundamentally change the game to include Rad-X and Super Mutants, it's really well done! I really like the layout, especially having your spell slots readily available on the first page and having your skills grouped by their determining stat. If you made this, or know who did, let me know so I can give credit where it's due.